When Lim finished, the small crowd stood for an ovation. Shaping up to be the biggest name in stage magic since David Copperfield, Lim not only won the popular TV contest, but has been named the champion of Close-Up Card Magic category of the Federation Internationale des Societes Magiques convention, dubbed the "Olympics of Magic". 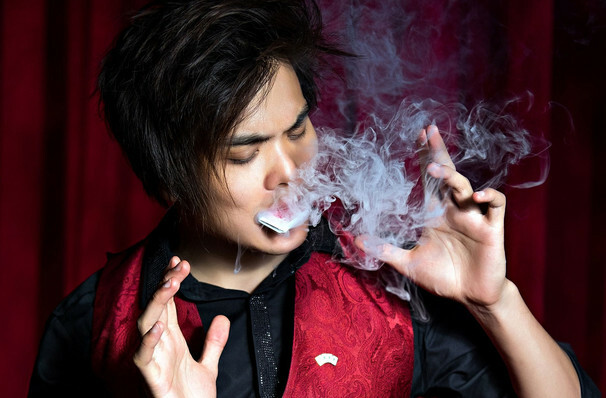 A spell-binding performer, Lim's boundless energy, enthusiasm and imagination culminate in a dazzling array of mind-boggling routines involving quick fingers, flashing cards and smoke. Don't miss his groundbreaking work as he hits the road on a victory tour following his AGT win. Seen Shin Lim? Loved it? Hated it? Sound good to you? 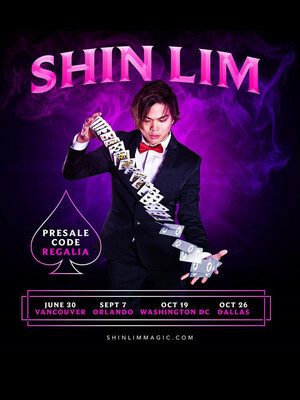 Share this page on social media and let your friends know about Shin Lim at Terry Fator Theatre. Please note: The term Terry Fator Theatre and/or Shin Lim as well as all associated graphics, logos, and/or other trademarks, tradenames or copyrights are the property of the Terry Fator Theatre and/or Shin Lim and are used herein for factual descriptive purposes only. We are in no way associated with or authorized by the Terry Fator Theatre and/or Shin Lim and neither that entity nor any of its affiliates have licensed or endorsed us to sell tickets, goods and or services in conjunction with their events.